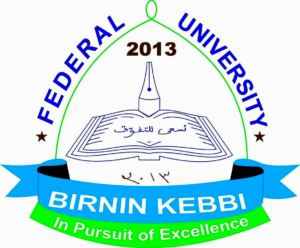 This is to inform the general public that the sales of application forms for admission into one-year Remedial Programme at the School of Basic Studies, Federal University Birnin-Kebbi for the 2018/2019 Academic Session has commenced. FUBK School of Basic Studies (SBS) Remedial Admission Requirements. How to Obtain FUBK Remedial Admission Form. Candidates are hereby advised to visit the University’s portal at www.matric.fubk.edu.ng to apply. The cost of application form is five thousand three hundred Naira (N5,300.00) only, inclusive of transaction fee. Payment shall be made at any commercial bank in Nigeria, by using the Remita Retrieval Reference (RRR) and invoice generated on the portal. Deadline: Friday, 3rd August, 2018.